This is an exciting time for the field of gene therapy. It feels as if there is a renaissance underway following a difficult two decades when the community had to retrench, learning and recovering from the tragic setbacks in clinical trials in the United States and France. But in 2019, we can see genuine progress on many fronts. As documented on 60 Minutes, a stem cell gene therapy trial for sickle cell disease is showing real promise in treating this common and painful disease. Floridian Jennelle Stephenson, 28, has essentially been rid of the disease. “This looks like a cure,” NIH director Francis S. Collins, MD, PhD, said on camera. In muscular dystrophy, a biotech firm, Exonics Therapeutics, is treating a canine model of Duchenne muscular dystrophy. Seeing a video of a genetically treated King Charles spaniel skipping up and down a hallway at the Royal Veterinary College in London is almost as gratifying as seeing a child gain strength after treatment for spinal muscular atrophy or navigate an obstacle course after treatment for an inherited blindness. 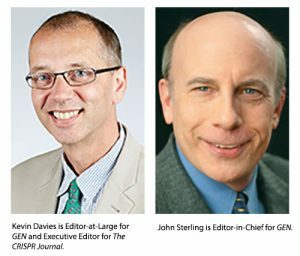 The Genetic Engineering & Biotechnology News (GEN) team is excited to report on these promising stories as part of our regular editorial coverage. With our redesign in January 2019, we’ve added a new “pillar”—gene editing—to our editorial menu. Last month, GEN senior writer Julianna LeMieux, PhD, reported on the emerging field of phage therapy. In this supplement—CRISPR and Beyond: Advances in Gene Therapy—we delve into some of the most exciting frontiers in gene therapy, many of which involve CRISPR gene editing. GEN correspondent MaryAnn Labant looks at the impact CRISPR technology is having on gene therapy programs for renal and other disorders (“CRISPR Jump-Starts Gene Therapy,” p8). We also feature an exclusive interview with Nick Leschly, the CEO of one of the most promising gene therapy biotech companies, Bluebird Bio. The interview was conducted by gene therapy pioneer James M. Wilson, MD, PhD, for our sister journal Human Gene Therapy Clinical Development (“Recoding for Life,” p12). 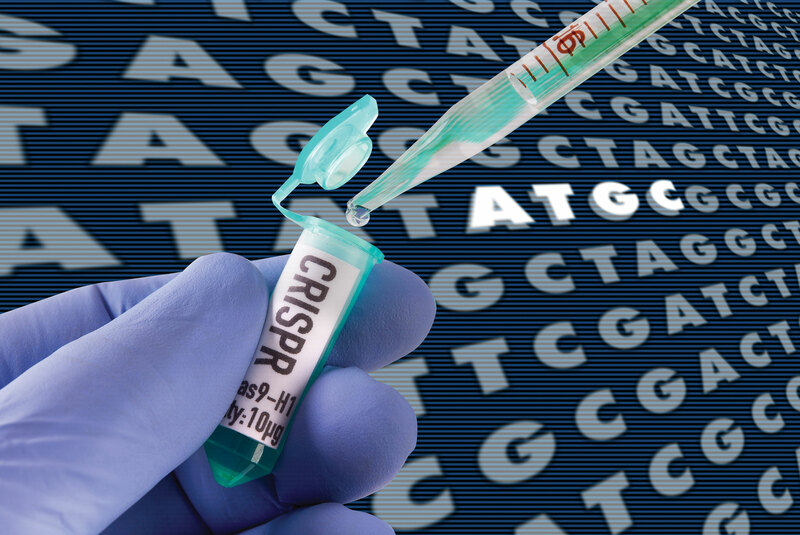 We also have two articles that examine CRISPR’s powerful role in the lab. In “How CRISPR Is Revolutionizing Screening Technology” (p16), Sony Salzman reports on how expectations for improved screening techniques have received a boost with the advent of CRISPR methods. In “CRISPR Screens: The Right Tool for the Right Job” (p24), Alsdair Russell, PhD, a researcher at the University of Cambridge, offers a more technical viewpoint on an investigator’s criteria for performing a successful CRISPR screen. Last but not least, we have “Finding Her Niche” (p19), which presents highlights from a fascinating interview with French microbiologist Emmanuelle Charpentier, PhD. In this interview, which was conducted in New York a few months ago, Charpentier recalls some of the seminal moments that led to the development of CRISPR gene editing. Charpentier is one of the co-founders of CRISPR Therapeutics, which has partnered with Vertex Pharmaceuticals to initiate a gene editing trial for patients with β-thalassemia. As always, we thank our advertisers, who supported our review of this topic and made this supplement possible. We hope you enjoy this report and welcome your suggestions for future “deeper dives” into topics of interest. The full supplement “CRISPR and Beyond: Advances in Gene Therapy” articles are also available in the April supplement digital format.